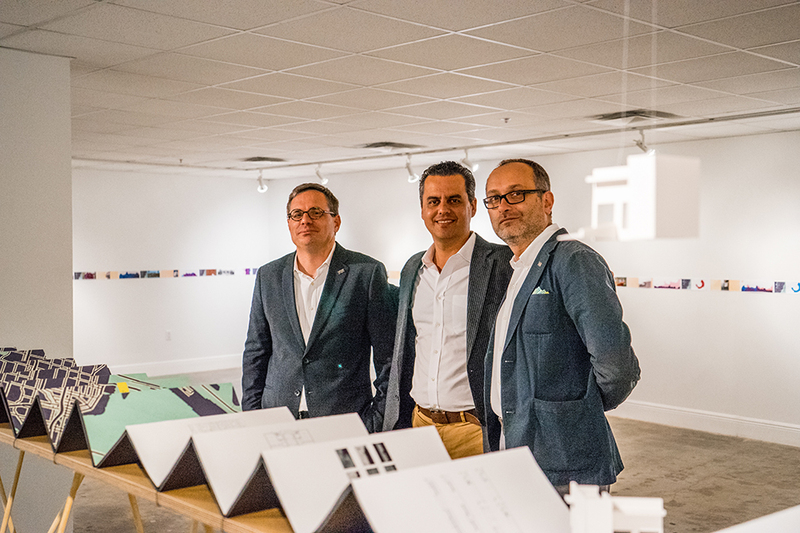 The work of this exhibition was the first collaboration among Jason Chandler, Jacek J. Kolasinski and Roberto Rovira, an architect, an artist and a landscape architect, respectively. The exhibition collapses the disciplinary boundaries of these three educators to reveal the complexities of the city they live and work in. For each of them, Miami is a context that frames and provides source material for their individual métiers. 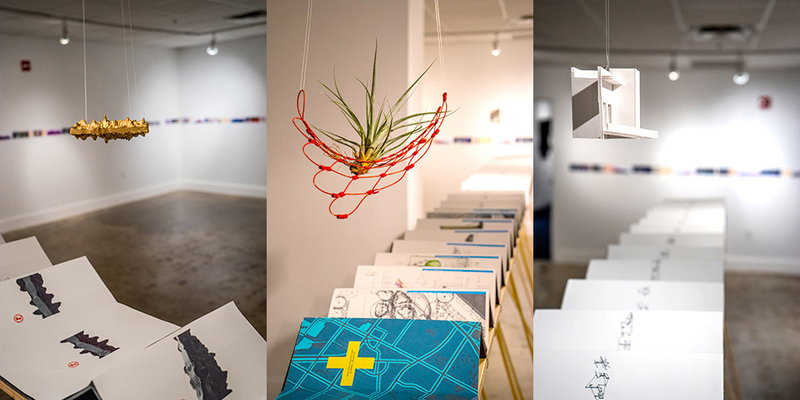 Miami’s surreal aura of geological flatness and precarious nature mixed with the global ambition and subtropical context of a famously diverse city enriches and challenges the work of this trio.This collaboration reflects a long and sporadic conversation about how three individuals could make a shared exhibition that would be greater that the sum of its parts. The three represented disciplines are closely allied and each participant is engaged in practice. Drawing, photography and the making of books and printed material were valued modes of representation. The vitrine reflects a collective need to make a device that manipulates seeing and displaying.At once delicate and precarious, the display suggests a dynamic balance. 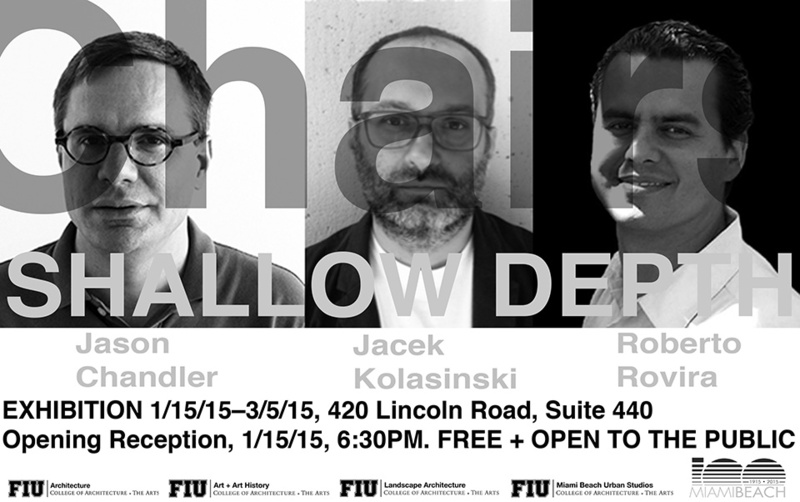 It unfolds to reveal documents that speak to how they see and have seen Miami through their various practices.Kolasinski’s imagined landscapes suggest a collection of fantastical topographies of miniature floating islands reminiscent of the mythical El Dorado with its promise of gold and bounty. Through the obsessive documentation of one of his buildings, Chandler reveals progressive layers of architectural thinking and making that begin as conceptual sketches and evolve into construction sites and eventually into habitable buildings. Rovira’s selection of Miami projects ranging from finished courtyards to speculative proposals at various scales, chronicle a collection of ideas that oscillate between the realized and unrealized potential of a dynamic city that is always unafraid of reimagining itself. 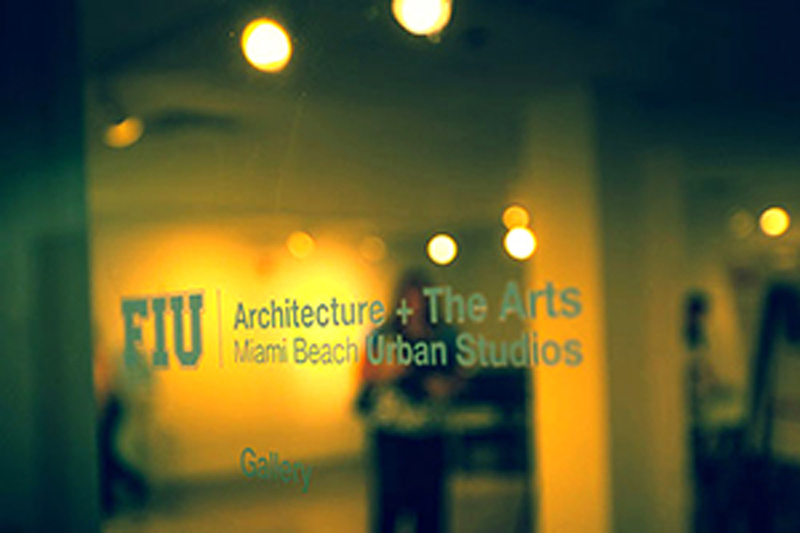 MBUS Gallery is generously supported by the City of Miami Beach, Cultural Affairs Program, Cultural Arts Council and College of Architecture + the Arts, Florida International University. With a special thank you to our assistants: Martina Gonzalez, Ivan Torrenegra, Brennan Baxley, Esther Monterrey, Ludovico Ferro, Ricardo Lugo and Joe Locke. The panorama on the wall is a repeated triptych composed of one image from each participant. The order of the images is consistent and results in every image being framed by the other two participants. Set at four feet above the floor, this low panorama creates a datum below a visitor’s eye. The elevated vitrine is also set four feet above the floor and is composed of three sections, one for each exhibitor. Conceived as a series of opened books, each pair of images contrasts various methods of seeing and making. 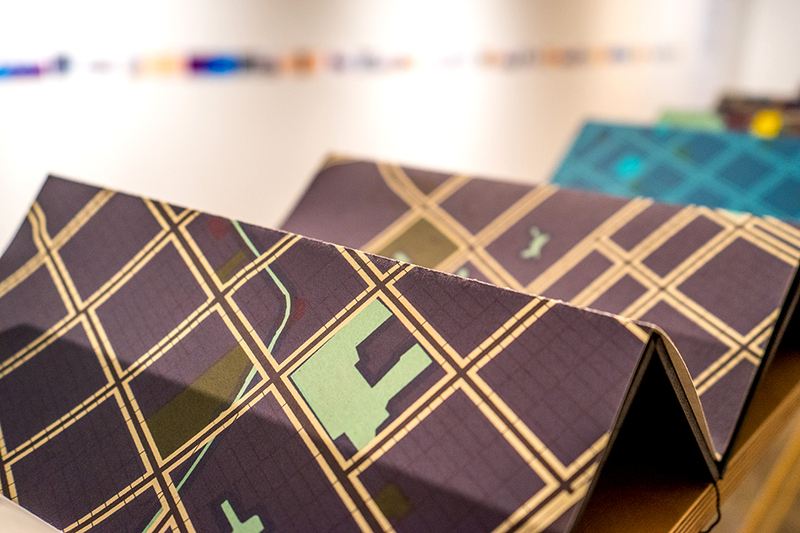 The vitrine is what the exhibitors make to observe and to envision a city as a way of coming to terms with its realities and its possibilities.